Celebrate Kylo Ren and the First Order! 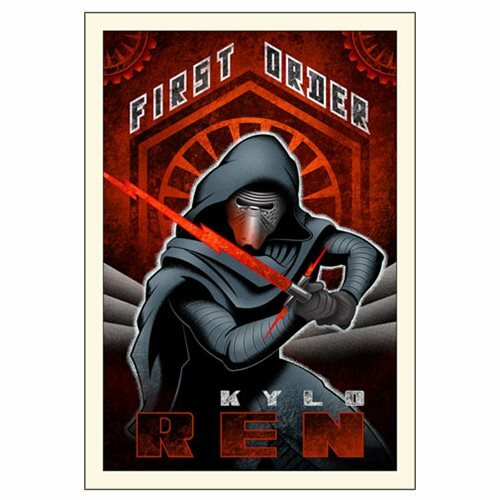 This Star Wars: The Force Awakens First Order Ren Small Canvas Giclee Art Print features the main baddie of the Star Wars: The Force Awakens film, done up in artist Mike Kungl's cool trademark style. A limited edition of 95 pieces hand-numbered and signed by the artist, this fantastic giclee measures 26-inches tall x 18-inches wide!